Love a menthol e-liquid but looking to step it up a level? Webster's One Pound Wonder have turned up the menthol to eleven with Double Menthol, an unbelievably fresh, unbelievably frosty flavour with double the mintiness of regular menthol. 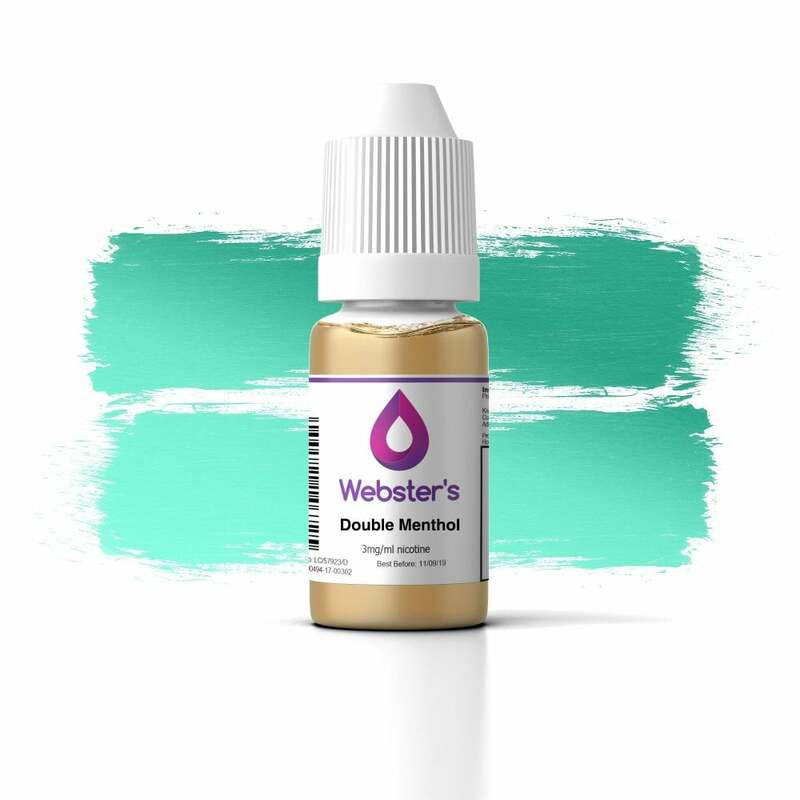 Webster’s Double Menthol will leave menthol vapers totally satisfied - treat your taste buds and try it today! Use this all the time, my favourite juice no faults at all and the price is amazing. Wonderful eliquid for a bargain price. I used to always buy vapouriz liquids but I much prefer this one, smooth taste and good throat hit. Would recommend anyone to try it. For £1 this is a great liquid. The taste is amazing. I only like minty flavours and this is a double taste. It's great and has a good amount of vapour. This is only £1, so good value for money. The menthol part is fine. It just for me has a gylum like artificial after flavour I don't like. Such good value and really decent product. The wife and I order about 20 bottles at a time, spread them around the house and workplaces so there's always a bottle on hand. We use this in different gadgets - a joytech vape and a blu pen; works really well in both and the different strengths have allowed us to cut down nicotine gradually without noticing. I have also used hoxtons menthol and blu menthol - this is comparable with both but a lot cheaper. Very good product and service. I would recommend the 'Double Menthol' flavour and the company itself. Great value for a great hit of mint! !